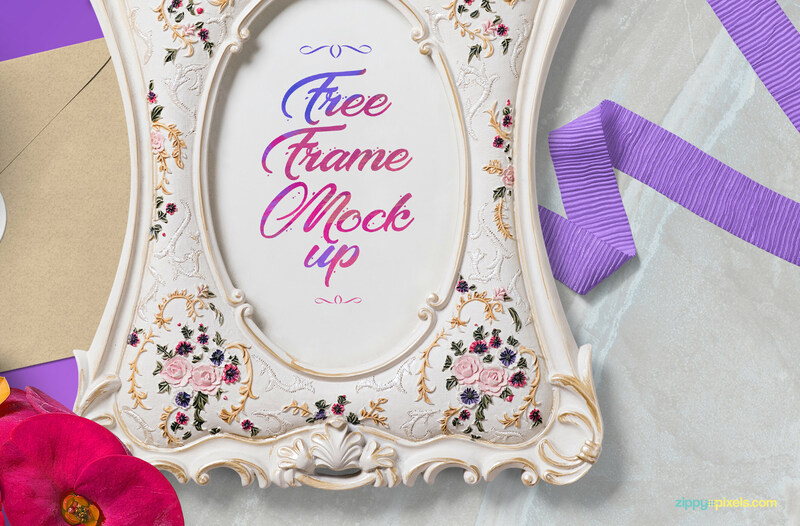 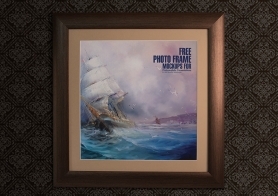 This gorgeous free picture frame mockup scene will help you to showcase your designs like never before. 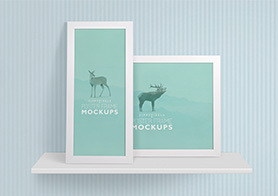 You can easily move or remove any of the items from this mockup scene to make hundreds of new compositions. 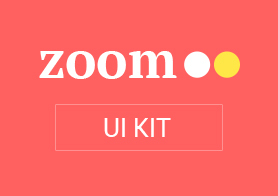 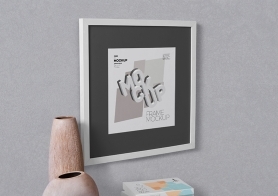 Every item of this picture frame mockup scene is placed in separate folders to edit the colors, shadows and light effects of every single item separately. 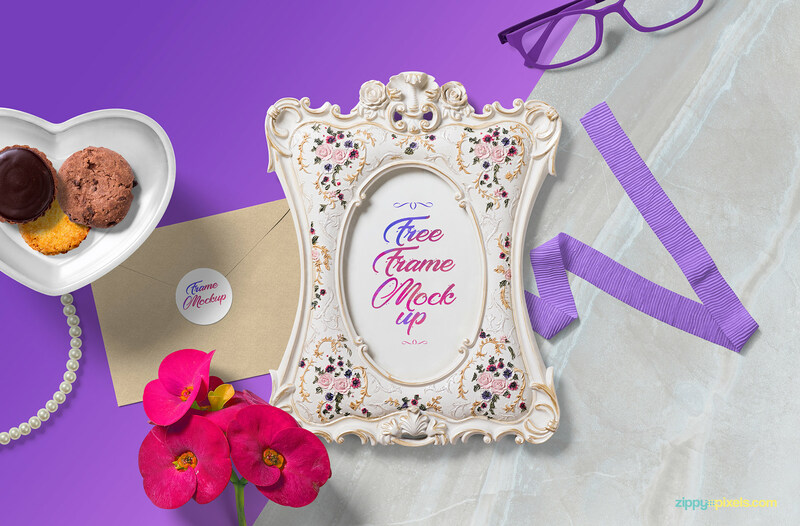 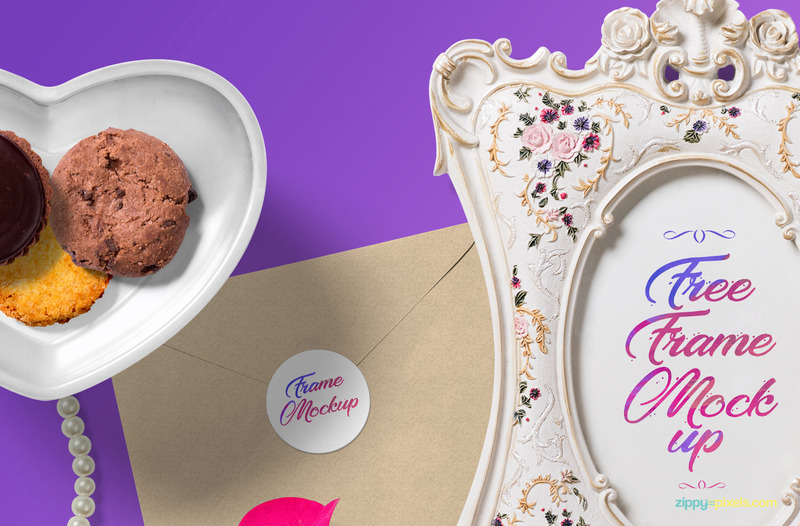 This free mockup scene offers photo frame, envelope, biscuit, heart-shaped plate, necklace, flower, ribbon, glasses and fabric. 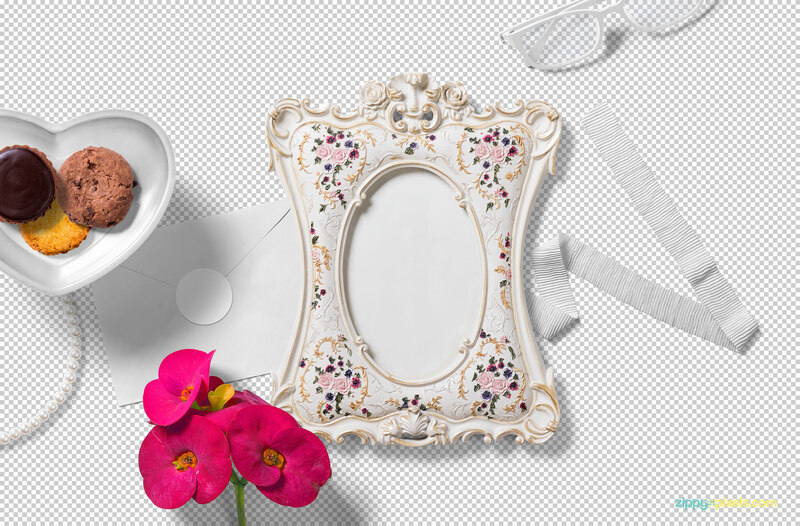 You can use smart object option to change the design of 3.5×5.5 inches photo frame and 2×2 inches envelope sticker. 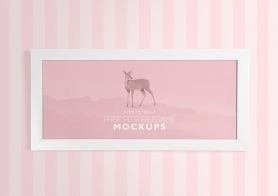 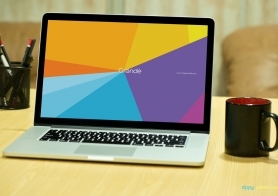 Use this mockup scene for giving your designs an eye candy look. 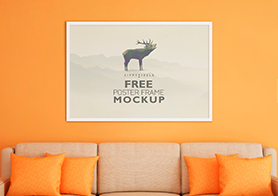 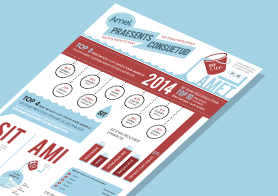 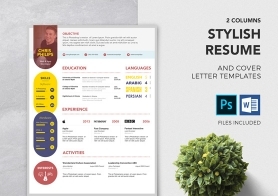 Download this freebie now and please let us know about your experience in the comments box below.